The dal-tile 16 in. x 16 in. 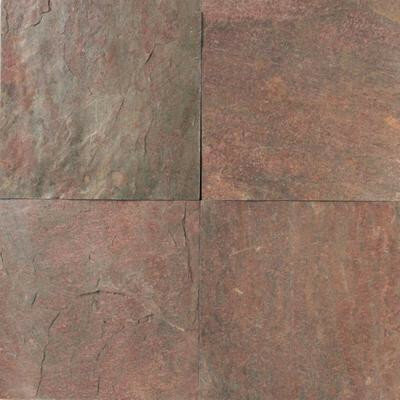 Copper slate floor and wall tile is a suitable tile to use on walls, floors and countertops in your home. Designed for residential use, the tile can be used both indoors and outdoors. The rustic-style tile is made of natural slate, and it complements many different types of home decor. The unglazed tile has a textured surface and a low sheen. It features a random variation in tone. You can buy this product in our internet market. We will be glad if you make the right choice.